One of the greatest surprises I encountered when I visited Tokyo last spring was how quiet the city became when you ventured away from the train stations. The above photos were taken less than 15 minutes by foot from Shinjuku, one of the world’s busiest transportation hubs and the centre of a huge business, entertainment and shopping district. 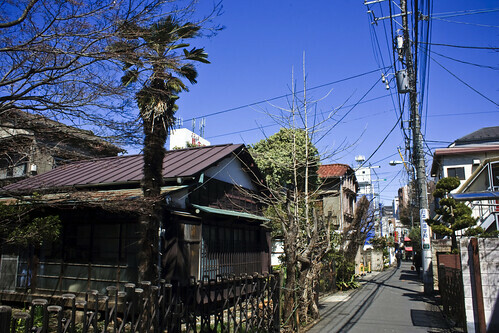 The bungalows I came across in central Tokyo reminded me a bit of the Japanese-era houses I found in Taipei neighbourhoods like Shida. But those parts of Taipei were intensively urbanized less than 50 years ago — Shinjuku has been a busy part of Tokyo since the Yamanote Line opened in 1885. 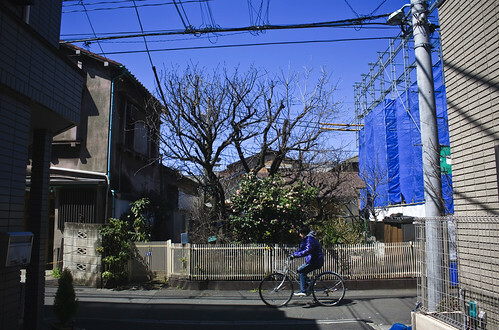 Then again, multi-family dwellings didn’t become common in Japan until after World War II. This entry was written by Christopher DeWolf , posted on Thursday June 30 2011at 12:06 pm , filed under Architecture, Asia Pacific and tagged Exploring the City, Housing, Japan, Shinjuku, Tokyo . Bookmark the permalink . Post a comment below or leave a trackback: Trackback URL.